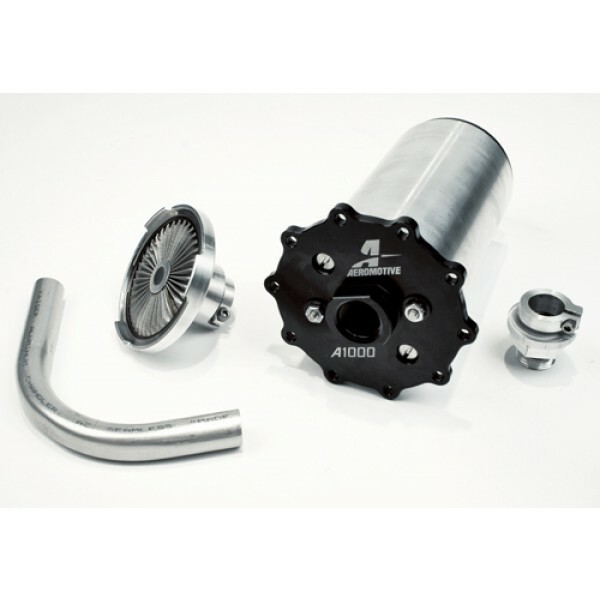 Aeromotive Universal A1000 Stealth Pump Assembly, FP-18668 - Free Shipping For Online Orders Over $25! Since releasing our Stealth Fuel Cells, the demand for the pump assembly alone has been exceptional. To meet this demand, we've developed our new Universal Stealth Pump Assemblies. These revolutionary designs incorporate the same advantages all our Stealth Fuel Systems provide by placing the fuel pump and pre-filter inside the tank. However, this new design allows for multiple mounting options in almost any fuel tank or cell. -Feature Aeromotive A1000 Fuel Pump -100 Micron stainless steel Fuel Filter / Pickup (20" long 3/4" aluminum tube w/ 90 degree bend Gaskets) -Mounting ring -Bolts and washers for a positive seal mounting Since releasing our Stealth Fuel Cells, the demand for the pump assembly alone has been exceptional. To meet this demand, we've developed our new Universal Stealth Pump Assemblies. 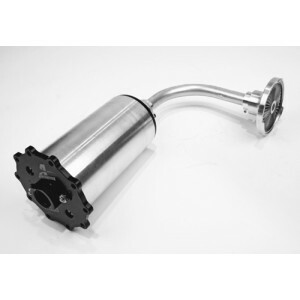 These revolutionary designs incorporate the same advantages all our Stealth Fuel Systems provide by placing the fuel pump and pre-filter inside the tank. However, this new design allows for multiple mounting options in almost any fuel tank or cell. Designed for the custom tank builder or fabricator, the universal assembly uses O-Ring clamps to positively seal the provided ¾'' tube to the both the filter pickup and the fuel pump inlet, allowing for perfect placement of the pickup and ensuring superior performance. Now custom tanks and fuel cells can easily and affordably feature an in-tank fuel pump; increasing performance and driveability while extending the life span of the pump. Proper baffling and clearance will be required, but installation could not be simpler with this universal design.